Juncker’s former chief of staff was promoted to the post of the Commission’s top civil servant last February, seizing a position considered to be one of the most influential in Brussels. But the swift and unexpected move prompted widespread criticism from observers and Parliament that internal rules had been bent and that transparency standards were not abided by. 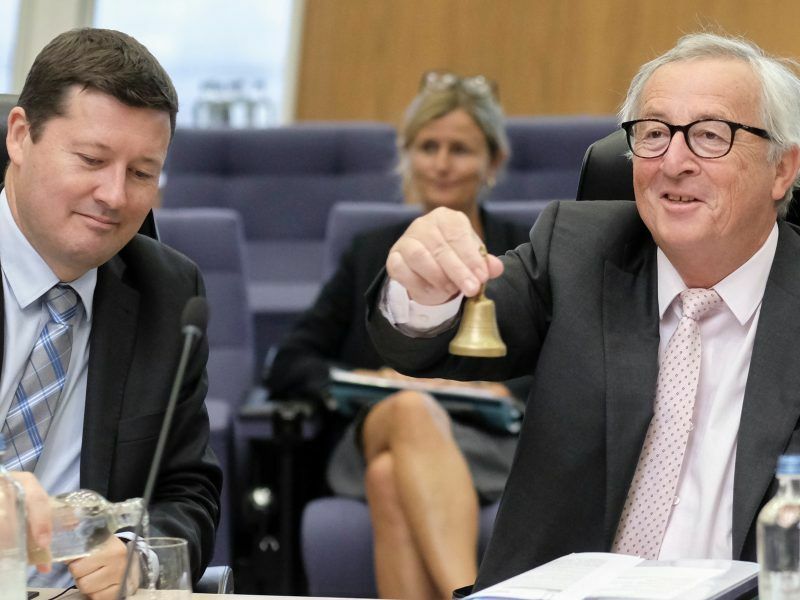 In their first attempt to rap the Commission one year ago, MEPs criticised the “coup-like” promotion of Selmayr but stopped short of asking for the decision to be reversed. 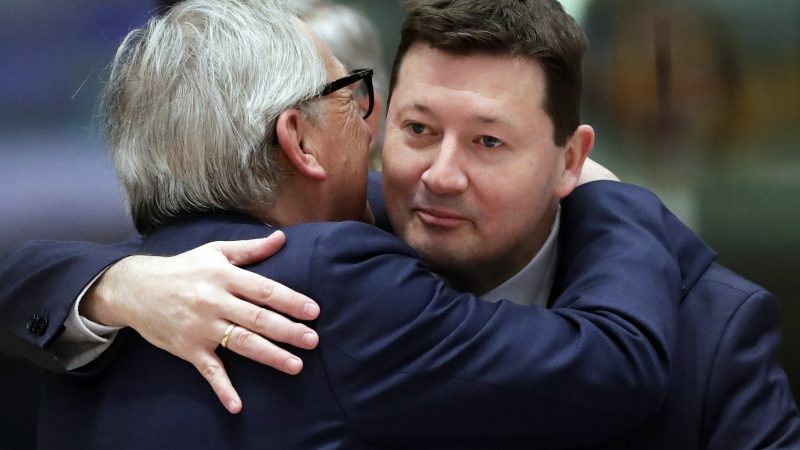 EU lawmakers on Wednesday (28 March) criticised the “coup-like” promotion of European Commission chief Jean-Claude Juncker’s top aide Martin Selmayr, but stopped short of asking the decision to be reversed. The second attempt, last December, was an outright call to oust Selmayr. 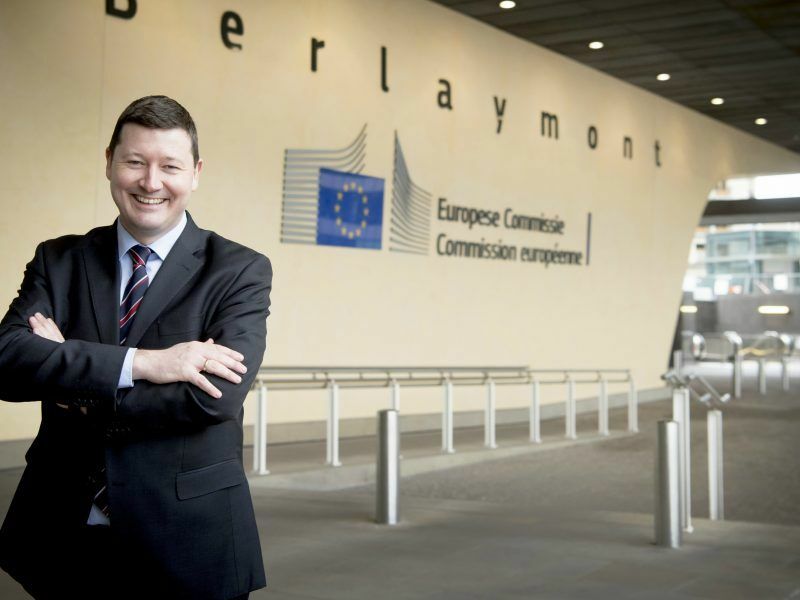 It came in an unusual form, as part of a resolution approving the work of European Ombudsman Emily O’Reilly, who opened a probe into Selmayr’s promotion last May. In a report published last September, O’Reilly concluded that the EU executive had failed to follow internal procedures in promoting Juncker’s chief aide, and by doing so had undermined public trust in the EU civil service. The European Parliament yesterday (13 December) adopted a resolution, with a majority of 71%, that calls for the resignation of Martin Selmayr, the former right-hand man of Commission President Jean-Claude Juncker whose rushed promotion earlier this year was criticised as “a coup-like action”. The resolution was approved by a majority of 71%, but the Commission completely ignored it. In reply to questions from journalists, the Commission kept quoting an April statement by Günther Oettinger, the EU Commissioner responsible for budget and human resources, who was the MEPs’ interlocutor throughout the affair. The third push also came in an unusual form, as an amendment to the 2017 EU budget discharge. The amendment was introduced by Bart Staes (Belgium, Green/EFE group) on behalf of the Greens, and was approved on Tuesday (26 March) with 404 votes against 161. The president of the next Commission, which will be formed after the EU elections in May, should normally keep the secretary-general in his post, but is also at liberty to appoint a replacement. Tuesday’s vote gives arguments to Juncker’s heir to proceed swiftly with Selmayr’s replacement, should they choose so.